Kick off your visit on the 20th (Mon): pause for some serene contemplation at St. Mary's Church, Ballinrobe, identify plant and animal life at The Cong Heritage Trail, step into the grandiose world of Ashford Castle, then admire the masterpieces at Galway Arts Centre, and finally make a trip to Quay Street. 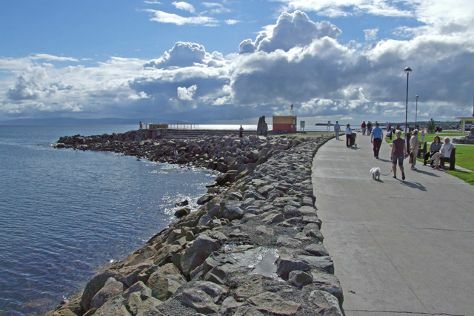 Get ready for a full day of sightseeing on the 21st (Tue): take an in-depth tour of Galway City Museum, enjoy the sand and surf at Salthill Beaches, then get to know the fascinating history of Salthill Promenade, then make a trip to Eyre Square, and finally take in the spiritual surroundings of Galway Cathedral. To see where to stay, traveler tips, reviews, and tourist information, refer to the Galway trip app . If you are flying in from United States, the closest major airports are Dublin Airport, Shannon Airport and Cork Airport. In August in Galway, expect temperatures between 62°F during the day and 51°F at night. Finish your sightseeing early on the 21st (Tue) to allow enough time to travel back home.